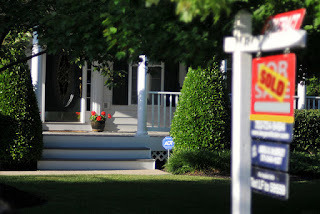 Home » Home selling » Real estate » Don't Make Selling Your Home A Nightmare! Don't Make Selling Your Home A Nightmare! Okay, anyone who carries the title of “estate agent” in a respected agency will know a lot more about the market than you. However, these professionals are people like you and me, and there’s a wide spectrum of skillsets in the market. A great agent and a poor agent will cost about the same, so you need to take some initiative when choosing one to sell your home quickly and easily. If they seem to be lacking in knowledge of the local area, fail to return your calls and emails, overlook your expectations, or seem to have a thin or sub-standard advertising strategy, then move on to someone else. Bad estate agents can drag the whole process out, and cause all kinds of unnecessary stress. Just like any transaction, you need to have a good marketing strategy in place when you come to sell your home. For sellers wondering how long does a closing take, the answer is “as long as it takes for you to sell it.” A large part of selling a home quickly and easily is having an attractive and detailed real estate listing, accompanied by a well-shot photograph of the property. You should also advertise through several platforms, unless your property will only be attractive to a very small demographic. Many people start their search for a new home online, but there may still be prospective buyers who will prefer to scan local newspapers and print listings. You should also ensure you’re using the oldest form of print advertising; signage outside your home. Seeing this creates a greater sense of urgency, and can prompt people to get on the phone to an agent as soon as possible. Finally, bear in mind that the marketing process doesn’t stop once you get some calls from people who are interested. It’s essential to put a lot of effort into staging the home if you want a good offer. Finally, make sure you’re not hanging the wrong price tag on your property. Obviously, you don’t want to screw yourself over by going with an asking price that’s too low. However, if you price the house too high, prospective buyers won’t bother looking at it. Pricing a home correctly has a lot to do with comparable sales, but you’ll also need to understand something about demand, location, condition, and the fluctuations of the property market. Try to hit the nail on the head the first time. If you wind up lowering the price from a higher figure, you’ll lose a huge competitive edge.